Total Weight Loss: 4.6 Pounds GONE!!!!!!! If day 4 feels like this, I can't imagine how AMAZING day 24 is going to feel. The energy level is awesome! * Feeling GREAT in the morning upon waking up. I am thrilled with how the elimination of soda has made me feel. Stay tuned for more REAL soon. Thanks for cheering us on! Weight stayed the same today. The one thing that I have noticed is the lack of hunger. I find myself easily satisfied with healthy choices. "I lost 3.6 pounds on my first day of Advocare"
Over the day today, I have found myself feeling satisfied, less hungry and full of energy! 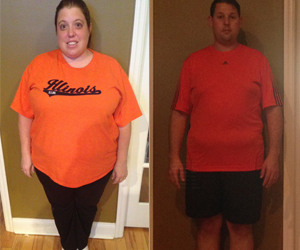 (September 22, 2013) Today, my husband and I began the AdvoCare 24-Day Challenge to become healthier, to slim and firm up, and most importantly gain more ENERGY! 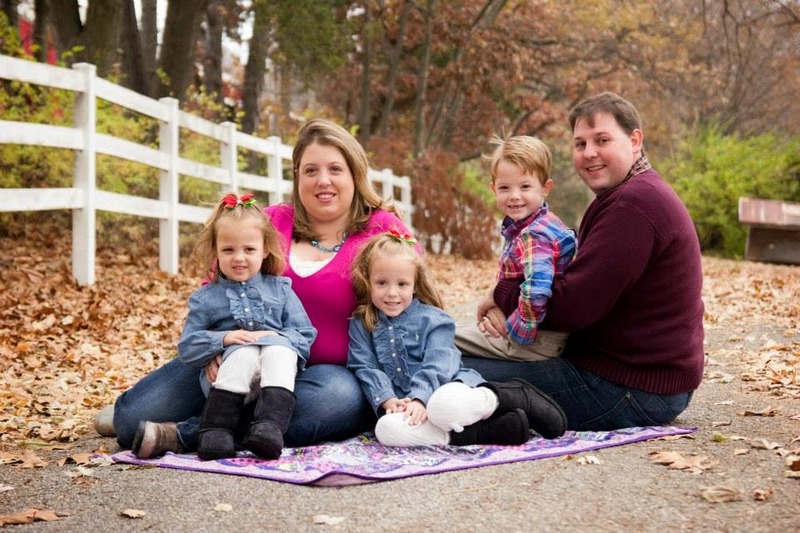 As a family of 5, we truly feel that Advocare has a lot to offer. 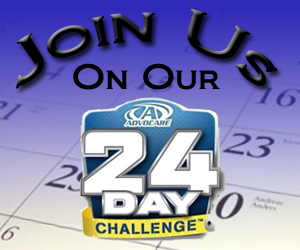 We're looking forward to sharing our 24-day challenge with you! About a year ago, we both began a new lifestyle of healthier eating and adding more exercise do our daily routine. Many of you are aware of my journey beginning to run and follow the Couch-to5K program. While increasing my running and exercise, I was made aware of AdvoCare's Spark Energy Drink. I quickly fell in love with it as it help boost my pre-exercise energy which helped me through my running/exercise and overall improve my workout. In addition, drinking Spark has allowed me to eliminate soda from my daily intake. I can't even begin to tell you how much SPARK has made a difference in how I feel. Since June, several events have occurred that have caused both my husband and I to turn away from the lifestyle we were following so well. These events made it difficult to get to the gym and cook/eat as healthy as we had been. Instead, lack of exercise and a return to fast-food eating brought along with it, the return of lost pounds and inches. While the events that have occured have been hugely positive in our lives, the negative effects of unhealthy habits have caught back up, and we are done. Moving forward,we are working hard to get back to the lifestyle that had made such a positive change impact on our life. To shed the pounds that have snuck back, we have decided to follow the AdvCare 24-Day Challenge. As mentioned above, I was very enthusiastic about the Spark energy drink and now I am ready to try more of the AdvoCare product line. I have met several individuals over the last year that have tried this challenge and have successfully dropped tens of pounds and several inches and results clothing sizes, too. We are both prepared and determined to make this program work and for success to take place. It won't necessarily be easy as we will have to be much more conscious about our eating habits. In addition, Dale has to give up his beloved coffee for 24-days, but we know we can and WILL do it. Each day of our journey, Dale or I will blog about our experience. We hope that we will be an inspiration to many of you and provide hope, and show that you too can easily and safely shed unwanted pounds and inches and bring back that gorgeous you. Well, here we are, we decided to take a truthful BEFORE picture.We did not want to hide any of the unwanted flab and hangover, but wanted show the real-us.Together, we're hoping this program will help us drop 10+ lbs and one clothing size and also trim off the flab and firm it up. Dale survived his first morning without coffee and instead had, like me, a fruit punch Spark, citrus herbal cleanse drink and plenty of water. We each need to be drinking about 120 ounces of water per day! For breakfast, I drank the Chocolate Meal Replacement Shake and it was yummy; reminded me of a Wendy's Frosty! Dale chose, instead, to have a hard boiled egg and a serving of oatmeal. For lunch it was a bit of a challenge for myself. I was at work and chose to eat at the cafeteria. I had a grilled chicken breast, pinto beans and a salad with fat-free Italian dressing.. The salad part was the challenge as I don't like vegetables. I tried my best,but was only able to finish about half of the salad. I will keep trying and hope to be able to eat more veggies each day. For Dale, he had a Boca Chicken patty, green salad with fat-free Italian dressing and Weight Watchers red beans and rice. Oh, and we each had another round of Spark about 30 minutes prior to lunch. To be honest, I could already tell that my appetite wasn't as large so hopefully this trend continues. Lastly, Dale cooked up a tasty dinner and a great way to end the day. He grilled up some burgers that were lightly seasoned and used a little Worcestershire sauce, too. He also lightly sauteed in olive oil some potatoes that were seasoned with Italian seasonings and garlic. That's it, Day 1 is wrapping up and just 23 more days to go. So, come along and follow along on our journey.